Tis the season for children to start boarding school buses and heading off to school. Many parents worry about their children when they can’t be with them, especially those parents who are sending off their first child or their youngest. There typically is no need for most parents to worry. Teachers and school staff typically take good care of the students in their care, but given the amount of time that a student spends at school every day, a Las Vegas school injury is likely to occur. In fact, about 3.5 million children are injured while on school property or during school activities every single year. If your child is one of these students that were injured while you turned over your trust to a school you will need to determine how you can help your child feel better and be better protected in the future. Doing so will require that you figure out who was at fault for the accident by investigating the facts. If, in fact, the school is responsible for your child’s injury there are some very important factors you need to consider which will be addressed in this article. Determining if your child’s school was at fault for the injury that you child sustained at school is not always a simple analysis. However, if you hope to have a case against the school, determining fault will be an essential factor. Of course, an experienced Las Vegas personal injury attorney is the person qualified to determine absolutely whether the school is at fault or not. However, there is are a few things that you can consider right now. 1) You must consider whether your student was where he/she should have been at the time of the injury. If your child broke into the school, it is not likely that the school can be held responsible for the injury. 2) The school must have known, or should have known, about the dangerous condition that caused the injury to your child. For example, if your child slipped on a soda that was spilled just before your child slipped, the school will not likely have known about the liquid on the floor. However, if someone from the school saw the liquid and did nothing about it, then they would be liable. 3) If your student was injured by an employee, like a maintenance person or a teacher, it is likely that the school will be responsible for the injury. Determining who was at fault sometimes can require a significant amount of analysis. Just knowing that someone was hurt at school is not enough. As described above, you have to determine whether they know about the potential for injury and then the school did nothing about it. If your child was injured by someone at school, you will need good legal advice. Taking on a school and the school district can be challenging. You will need an attorney who can build a good case against the wrongdoer and not give up until the case is properly resolved. 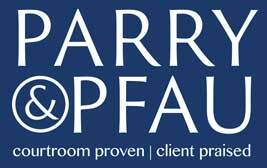 If you would like to speak with one of the experienced attorneys at Parry & Pfau regarding your son or daughter’s injury at school, please call us at 702-912-4451 or click here to request a meeting time. We would be happy to offer you a free consultation so that we can discuss your Las Vegas school injury and the help that you need. Newer PostFood for Thought: Organic, All Natural and Local, What Do They Really Mean?